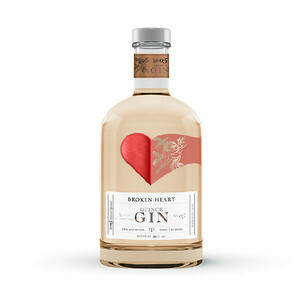 A unique blend of eleven herbs, we recommend it with a slice of orange. 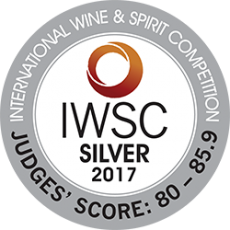 IWSC (International Wine and Spirits Competition) Silver Quality Awards. 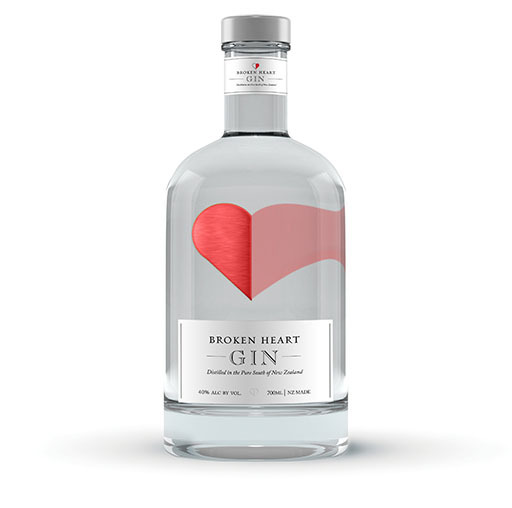 The story of Broken Heart Gin begins with two Germans living in New Zealand’s Southern Alps, Joerg was a pilot and Bernd an engineer. Both philosophers and committed Master Distillers, they formed their friendship around a still and a passion for perfecting spirits of rare complexity and ﬁne ﬂavours. 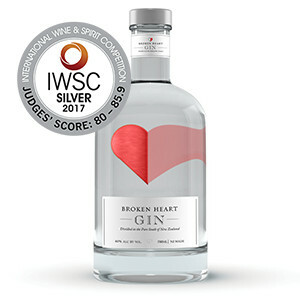 And so it was decided to share the superb gin with the world. 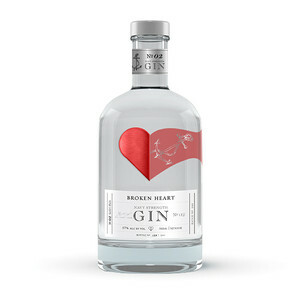 A superb gin – an intricate balance of eleven herbs and surprisingly good with a twist of orange. Paying homage to the past, this gin spent half a year in French Chardonnay Oak barrels. Mellow, oaky and best served over ice. 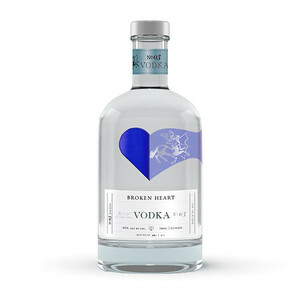 An amazing vodka - Made with the finest spring water from New Zealand’s Arrowtown, this Vodka is pure and clean and with a little soda and lime makes for a beautifully refreshing drink. The quince is linked to love, fertility & immortality. A junipery golden elixir of life with quince macerated in gin & pressed. Best paired with cheese & fruit. A very smooth and well balanced spiced Rum. Caramel, candied walnuts and cinnamon flavours. 3 years old, barrel aged. Ship ahoy.